Want more? 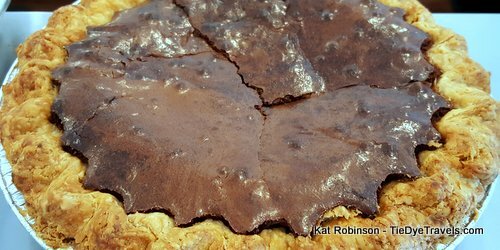 Check out Arkansas Pie: A Delicious Slice of the Natural State. There are a lot of good pies out there, but this is my absolute personal favorite. 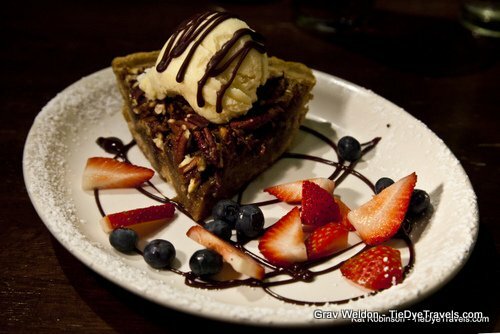 Chef Jerrmy Gawthrop's combination of nuts, chocolate, bourbon and crust comes together for a marvelous combination - add in ice cream, whipped cream, fresh fruit and you have an overall spectacular pie experience. Gluten-free? So's this pie, where the crust is made from toasted, caramelized coconut. A coconut custard and coconut whipped cream ties in the total coconuttiness of this fantastic pie. The elusive fried pies are only available on specific Saturdays at this Delta joint, but they're worth the drive... with a singular pliant crust and delectable fillings. If I have to stop at one, I have to have a chocolate custard filled version. A little earthy, and so comforting. 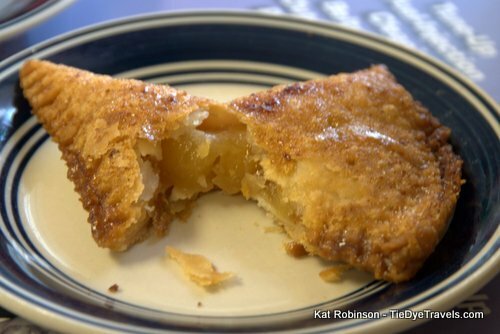 The slightly buttery pie is just one pie offering on the menu at this Central Arkansas barbecue joint (a variety of fried pies are also available) but this one's the go-to. A brand new offering on this list, a simple standard is elevated to something extraordinary. 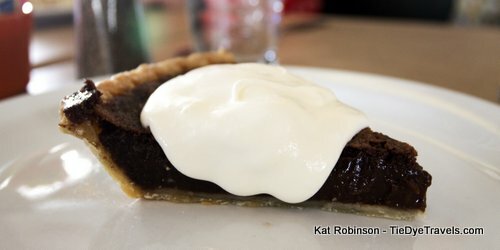 This pie is steamed rather than baked, finished, then served with a reduced-whey caramel sparked with Hawaiian lava salt and topped with a pear brandy whipped cream. It is every bit as marvelous as you might suspect. 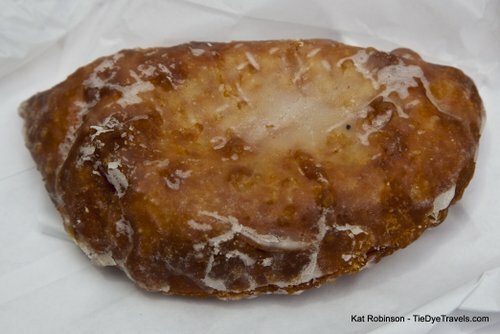 Doughnut crust on a fried pie? Yes, remarkable but true, these hefty handpies come with a light sugar dip that gives an extra crackle to the bite, already fantastic thanks to the homemade filling within. 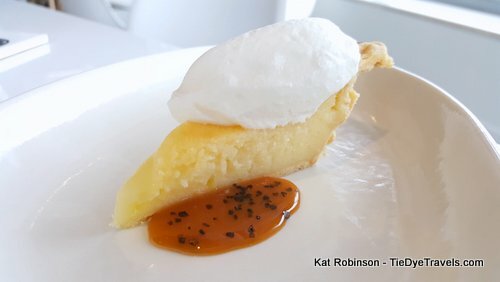 Southern Living gave this pie the accolade of best coconut meringue in the South, and for good reason. Rich, sweet but not overpowering, a pie that's so good you'd better order your slice when you arrive, or you'll miss out. A pie worth waiting in line for. 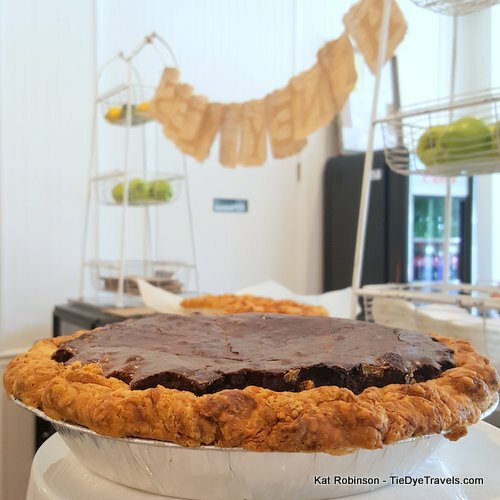 While most chocolate lovers well know about the famed Kopper Kettle Candies next door, this local lunch and barbecue restaurant offers so many much-overlooked but stupendous pies, it's hard to choose. But this truffle pie, made from the same chocolate as the chocolatier, takes the cake, er, pie. I dare you to walk out of Rhoda's without a pie in hand. Ms. Rhoda Adams has been making sweet potato pies about as long as she's made tamales, and they are incredible. For the true pie lover, the marvelous juxtaposition of two soulfood favorites in one pie shell is too much to resist. When in season, a slice of this fruit-filled favorite topped with hand-whipped cream will take you back to a different place and time - the perfect accompaniment to the atmosphere at this artisan village in the Ozarks. 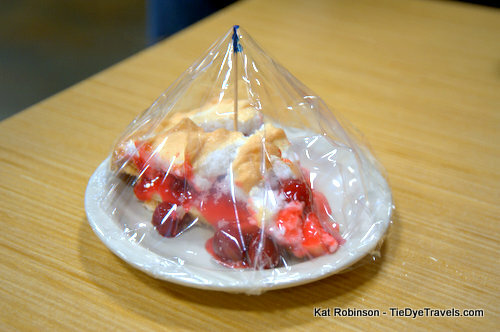 The state's definitive pie comes in layers - "playin' possum" with its chocolate. 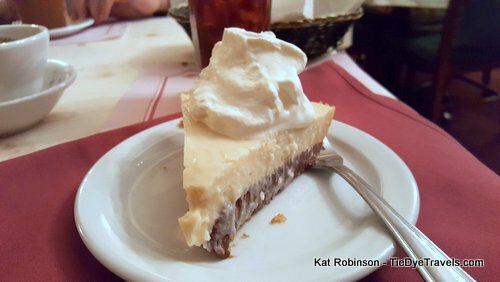 One of the best examples you will find anywhere, this pie has gained its own following and proudly tops the pie menu at each of these Stobaugh-ran locations. Incredible peaks of meringue bedeck the tops of most of Neal's custards, but it is the lemon meringue that garners the most attention. Pungent custard against creamy, eggy airy delight equals a hard-to-resist dessert. Ms. Verine Carr's famed dough is rolled out every morning in season (Shangri-La's restaurant is closed in the winter) and baked to receive delicious fruit fillings of renown. A crustless confection with gorgeous caramelization, this sweet bite brings a 19th century delight fully into the modern age. A summertime delight only offered when peaches are in season (July and August), the sweet-tart combination of a citrusy cream custard and fresh, pink-tinged peaches speaks best of the growing season. 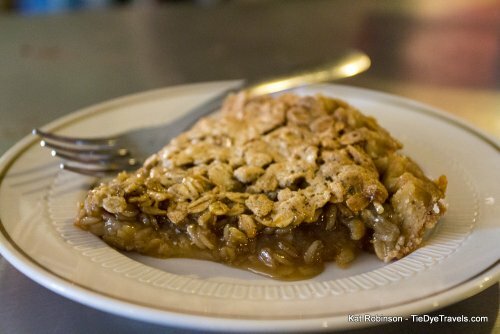 There are more than 20 different pies offered at this area favorite, but it's the triangular, cinnamon-sugar crusted pocket of hot apple satisfaction that truly wows us. Grav says get it with pistachio soft serve. Rich, eggy custard infused with booze makes this the only pie on this list that should require a 21 and older rating. Even if you're full of steak, you need a bite of this. A Depression-era take on pecan pie with a substitution of oats, this pie fills and satisfies with an ample sweetness paired with a unique and delectable mouth-feel. Pie in a bar? Welcome to Arkansas! The buttery syrup packed with bits of Arkansas pecans comes hot, wrapped in crispy dough. Great with a cold cider. My favorite apple pie, this angelically crusted dish combines a couple of different sorts of apple with butter, sugar, cinnamon and nutmeg for a splendid finish to a great meal. Get it a la mode. The longtime classic pairs a cream cheese base with a delectable, tart raspberry couli that you'll be thinking about for ages. A Little Rock craving. The just-pie classic, elevated with high-quality cocoa and dolloped with hand-whipped slightly sweetened cream, becomes something eye-crossingly good. Impossibly rich, this chocolate-upon-chocolate pie is best served hot. The brownie-top crust puts it over the top. 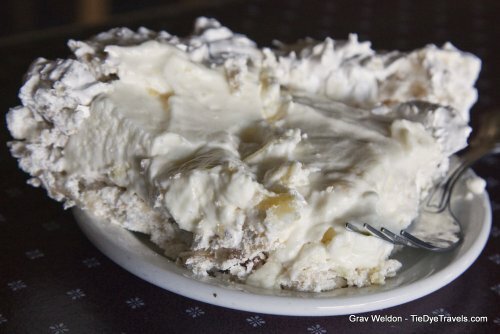 The pie of the Arkansas sesquicentennial, the whipped fluff and pineapple filling's sweetness is only overshadowed by its saltine-meringue crust. A monster pie that merges three favorites - cherry, meringue-fruit and cream cheese - into one slice of overwhelming delight, the perfect diner pie.